Over the last month or so the anticipation of this year’s Japan Shoegazer Festival has been building. This year’s edition of the event has reverted back to it’s previous two city format, with the first leg taking place in Osaka and the second in Tokyo. This year’s Shoegazer Festival features a whopping thirty artists (twelve in Osaka and eighteen in Tokyo) and a ton of DJs, shaping up to be the biggest events in the fest’s history. A couple months ago event organizer and guitarist of annual headliner Lemon’s Chair, Masashi Imanishi announced a that a special promotion with net label Kiiro Records would take place at this year’s festival. Around that time Kiiro Records, whose catalog consists largely of free-to-download pop releases, put out its most recent shoegaze compilation titled Forever Shoegaze. While details were completely unknown at the time, it was assumed that some sort of collaborative release was in the works. Today the details were announced via Imanishi’s blog. To check out more of Kiiro Records’ releases visit their Bandcamp page. Japanese net-label Kiiro Records has released a new compilation titled FOREVER SHOEGAZE. The label, which has released a lot of great comps in the first half-year or so of its existence usually focuses on “listenable pop music”, but this time around (as the title would entail) it is all shoegaze. The comp features 11 Japanese bands and 4 foreign artists. 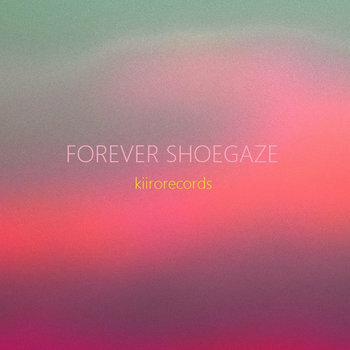 As with all of Kiiro Records’ releases, FOREVER SHOEGAZE is 100% free to download via their Bandcamp site. It’s been a highly anticipated release and the allotted free downloads have gone quite quickly, so if you see the “700 yen” tag, don’t panic. Just scroll to the bottom of the Bandcamp page and click on the mirror to the free download. While you’re at it check out some of the other releases they have thrown together.